VENSYS Elektrotechnik GmbH is committed to the use of renewable energy and is an international company for environmentally friendly additional technologies. The main business line is the manufacture of full inverter systems up to 6 MW for wind energy and solar parks. Full inverters ensure that the generated power is fed into the grid with consistent voltage and consistent frequency. A further main product is the manufacture of pitch systems - so-called rotor blade adjustment systems for wind turbines. VENSYS full inverter systems as well as switchgear, controls and pitch systems are manufactured at the Diepholz site. The full inverter systems are adapted to national and regional grid codes. They are characterised by a high level of efficiency and support of the grid in case of voltage dips (LVRT). Since 2011, VENSYS Elektrotechnik GmbH is also active in the solar industry. The inverters developed and manufactured in Diepholz are used in increasing numbers in solar parks and on solar roofs. VENSYS Elektrotechnik GmbH and its products stand for the realisation of a plan. With highly efficient full inverter systems and reliable pitch systems, we contribute to the economic and environmental transformation of our society - for the time after fossil fuels. In our products, we combine creativity and technical expertise in sense of the VENSYS vision: Innovative solutions for our customers in conjunction with securing jobs and apprenticeship places - for a clean future with renewable energies. Founded in 2008, VENSYS Elektrotechnik GmbH developed into a technology provider for electrical equipment and power electronics. At the beginning, our main focus was on full inverter systems for 1.5 MW wind turbines of VENSYS AG. This is a gearless, direct-driven and permanently excited wind turbine which has been installed globally over 5,000 times. This also includes steering and control systems for the nacelle and the entire sensor systems of the wind turbine. Since 2009, pitch systems are also being manufactured in Diepholz. The applied capacitor technology and the modular design, provided a boost of innovation to the industry which made highly standardised mass production with high production depth possible in Diepholz. In 2010 VENSYS Elektrotechnik GmbH was certified according to DIN EN ISO 9001:2008. End: VENSYS Elektrotechnik GmbH played a pioneering role in mid 2010, when the first central inverter was built for a solar park. Extensive experience from the field of wind energy contributed to this. The bundling of the individual solar fields in the weak load phase is ground-breaking and opens up entirely new efficiency classes. In 2011, an inverter with water cooling was developed for the 1.5 MW class opening up new possibilities for the operation of wind turbines in difficult climate zones. The application bandwidth of the systems was extended significantly, which resulted in focus being placed on countries in tropical or dry regions for the first time. As a result, we contribute to the development and the integration of potentials in the emerging countries of Africa, South America and Asia. Since 2014, our battery storages ensure power supply that is not dependent on the grid. Also in 2014, a solar plus storage facility was erected on the company premises in Diepholz. In 2015, the start signal was given for two important projcts - a new hybrid capable converter and an energy storage system based on lithium ion technology shall belong to the VENSYS portfolio soon. In 2016, VENSYS Elektrotechnik was sucessfully certified according to DIN EN ISO 14001:2015 environmental management system and moreover recertified according to DIN EN ISO 9001:2015 management system. VENSYS Elektrotechnik is committed to efficient and environmental-friendly working. We live by this principle, and implement it in our company. This includes own power supply from solar systems both on the company’s roofs and next to our buildings. In addition to the certifications DIN EN ISO 9001:2015 and the DIN EN ISO 14001:2015 , tools such as a continuous improvement process are a firm part of the company’s quality policy. We love the Kaizen principle. Some projects of lived environmental protection have already been realised. For example, during the solar development in 2010, a 160 KW solar system was taken into operation on the roofs of our own factory halls. In addition, power and heat is generated by a BHKW with hybrid inverter. Exclusively halogen-free plastics and cable insulations are used in the products of VENSYS Elektrotechnik GmbH, which not only have good fire-retardant effects but also excellent environmental performance in terms of long-term stability and recycling compatibility. Trainees at VENSYS Elektrotechnik have also contributed to the energy revolution in the company by converting a VW transporter van into an electric vehicle. After official registration, the vehicle will be used for transporting trainees to the vocational school. The company offers a special facility to employees: two electric cars to be used for car pooling, whereby the way to work can be travelled on emission-free and environmentally-friendly. With these measures, the company ensures that greenhouse gases are kept to a minimum or avoided altogether. 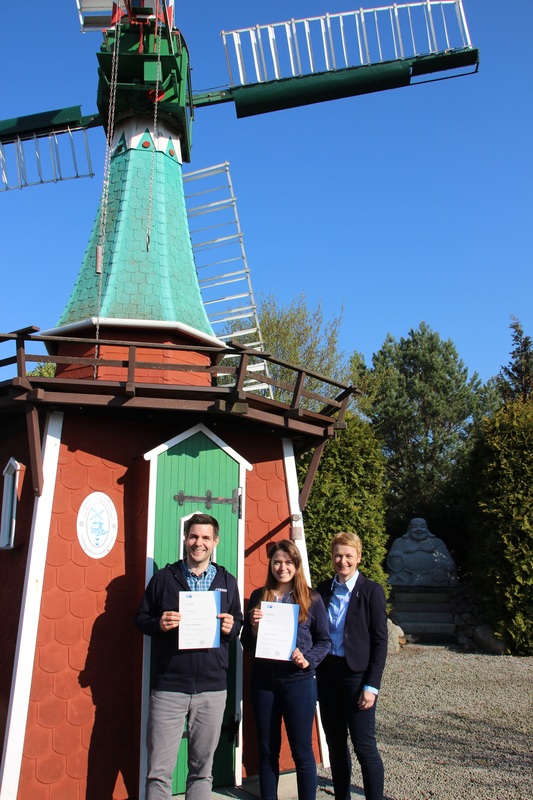 VENSYS Elektrotechnik GmbH’s main principle is sustainability; the company is committed to the environment as well as to its partners in business and society. This includes own power supply through solar panels both on the company’s roofs and next to buildings. Environmentally friendly materials such as e.g. halogen-free plastics and environmentally friendly paper. Long-term business partnerships and consistent active research and development. Sponsorship for local sports clubs. VENSYS Elektrotechnik GmbH prefers partnerships with local suppliers and service providers. VENSYS Elektrotechnik GmbH is committed to only offer impeccable high quality products and services to its customers and employees, and all other interested parties. Innovation and economic success are our motivation and our goal. We attach great importance to the sustainable implementation of our goals. An integral part of our corporate culture is the respectful dealing with each other. The continuous improvement of the quality of all services, processes and organisational processes and cost-awareness are fundamental tasks of all employees. Customers, employees and suppliers are involved in the quality policy and are an integral part of the corporate strategy. Our customers are trigger and aim of all activities. Knowledge and motivation of our staff is recognised as the greatest potential of the company. Management and all employees are committed to promote and support this quality policy in their daily work. and contribute to an environmentally-conscious environment. Education and training of our employees is an important part of our quality and environmental policy. 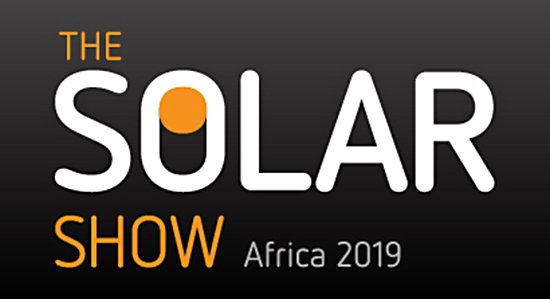 Our team of Renewable Energy experts is waiting to meet you at the Sandton Convention Centre, Johannesburg from 26 March 2019 to 27 March 2019!